Participant cost: Removing concrete and installing permeable pavers normally costs about $30 to $50 per square foot. Rain Check will contribute $15 per square foot for permeable paver, up to a maximum of $2000 contribution. Check out the Permeable Pavers Factsheet in English or Spanish to learn more. 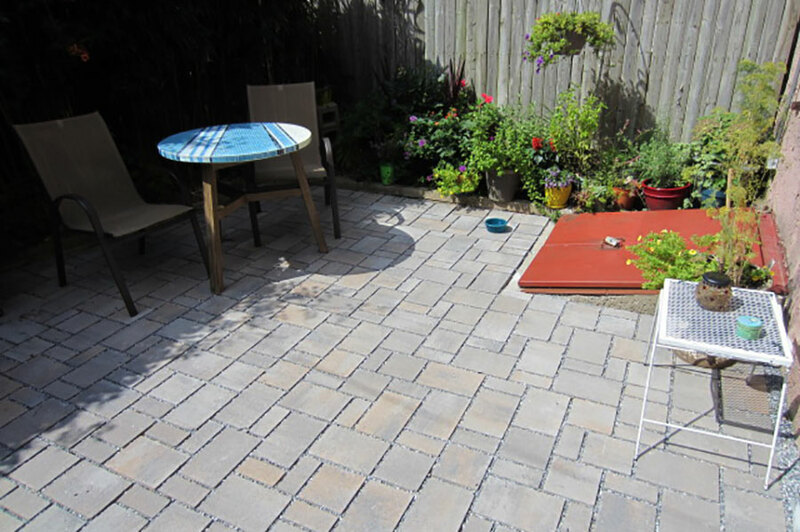 Design: Permeable pavers come in a wide variety of sizes, colors, and patterns. A Rain Check contractor will show you different samples to determine what is best for your property. Before the project: Before de-paving, the contractor will call the PA One Call (“Call Before You Dig”) hotline. This will ensure that no underground utilities will be disturbed during the project. All masonry projects must be on your property. Rain Check will not install permeable pavers on public sidewalks or any other area that lies in the public right-of-way. All permeable paver projects adjacent to homes require a thick rubber liner. However, if your home already has signs of water or moisture, we may not recommend permeable pavers. In general, the Rain Check program will only install permeable pavers in place of an existing hard surface. Masonry guidelines: All of our masonry contractors follow guidelines from the Interlocking Concrete Pavement Institute (ICPI), the foremost authority in permeable pavers and hardscaping. 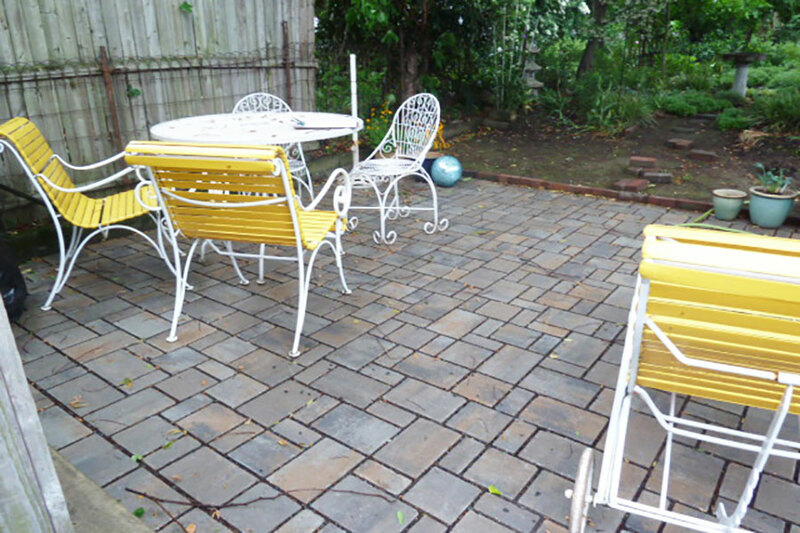 Remove debris from the pavers by sweeping regularly. Reduce clogging by limiting areas of loose mulch or soil near pavers. Don’t stockpile dirt or mulch on your pavers. Observe your patio or driveway during the rain to make sure water is flowing through the joints between the pavers. If there is ponding water, your system may be clogged. Remove any debris from the surface to improve infiltration. Do not pressure wash your permeable pavers as it can push debris farther into the stone storage beneath the pavers. Snow and ice will take longer to accumulate and will melt more quickly on permeable pavers, compared to standard pavers or pavement, due to tempered airflow in the base drainage layer of the paver system. This keeps the surface temperature of permeable pavers warmer than standard pavement. When snow does accumulate, remove snow with a hand shovel or snow blower with a rubber edge. Salt can damage pavers, so use sparingly in areas of highest use. Remember that salt is not effective when more than 3 inches of snow have accumulated or when temperatures are below 25°F. Replace stone: Every few years, it may be necessary to replace some of the small stones between the paver joints. Purchase clean-washed stone and sweep it into the joints with a push broom. Check out the Permeable Pavers Maintenance Guide in English or Spanish for additional tips.